We all know location is everything-in marketing it is also about the marketer’s ability to make the most if it, in real time. 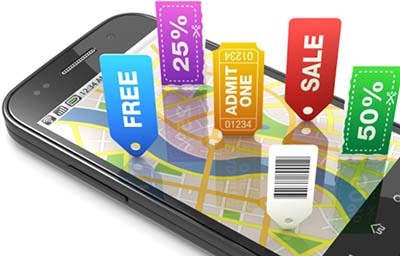 Location-based marketing (LMS) is a direct marketing strategy that uses a mobile device’s location to alert the device’s owner about an offering from a near-by business. According to CTIA a recent study forecasts the location-based services market will reach $43.3 billion in revenue by 2019, rising from an estimated $12.2 billion in 2014. This is digital location-based marketing, and the rapid adoption of smartphones — now owned by nearly two-thirds of Americans. For a few tips to help your company succeed with location-based marketing download the PDF from CTIA to make sure your company is in the know on the can and cant’s of location-based marketing.